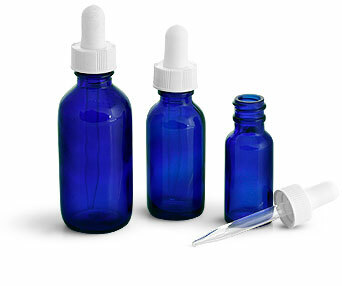 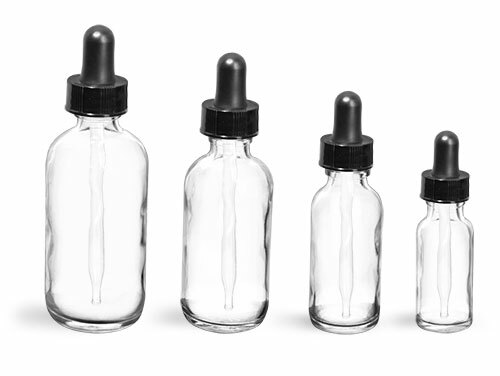 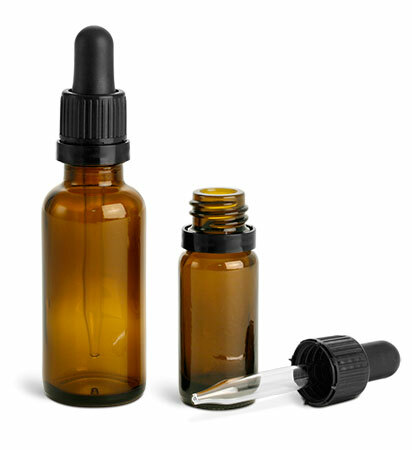 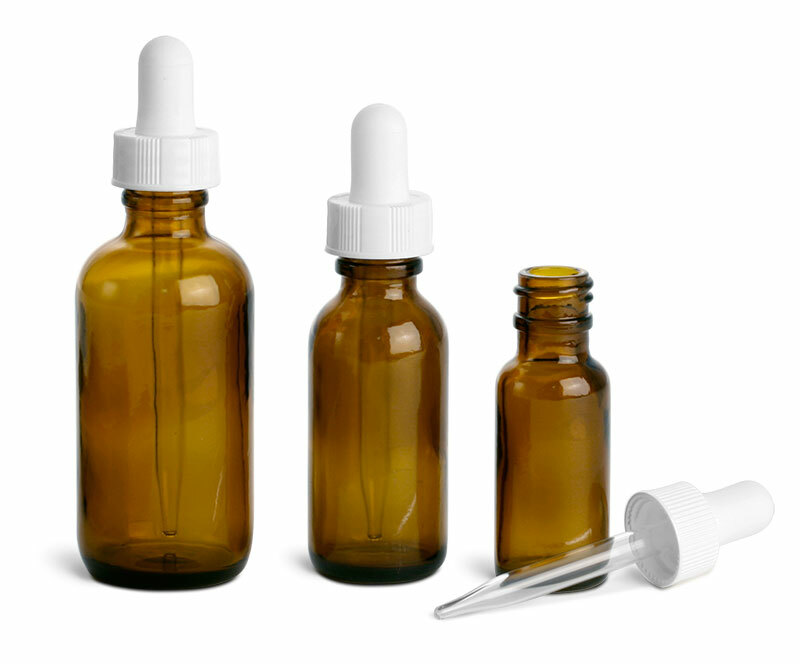 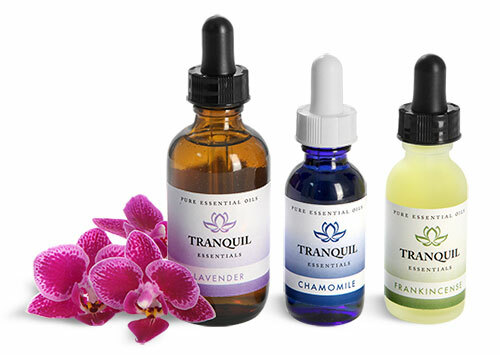 Consider using one of our many glass dropper bottles for your essential oils. 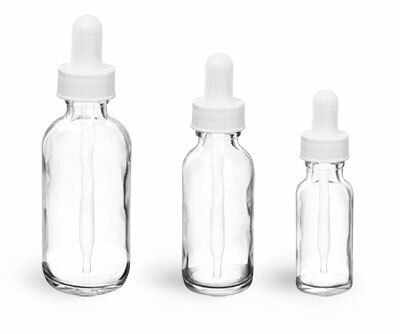 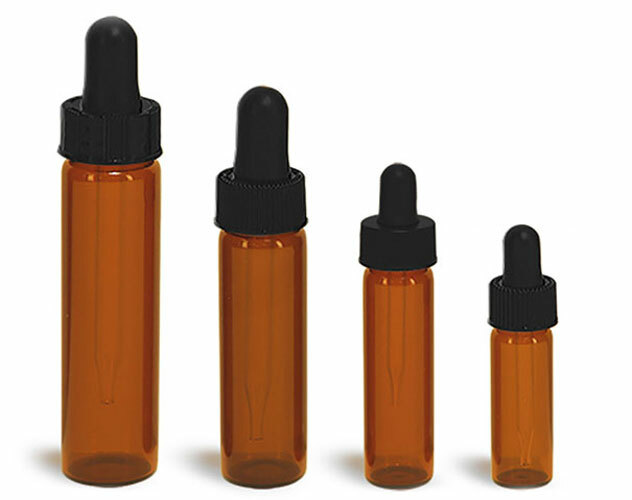 Glass dropper bottles are available in a great selection of sizes, shapes and colors, from the 1/3 oz green glass boston round to the 2 oz oval amber bottles. 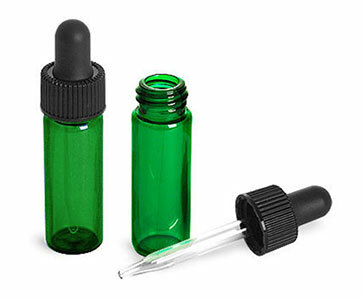 You are sure to find a glass dropper bottle to fit your essential oils needs.